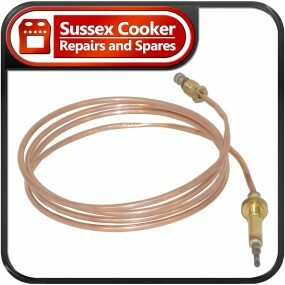 Stoves Oven Thermocouple 1300mm will fit many Stoves models including those listed. If you cannot see your corresponding model then please contact us with your model number and we can verify the parts suitability. This part replaces the Oven Thermocouple that terminates the gas supply when the Flame failes during cooking on common Stoves models. The part will change over like for like without modification. 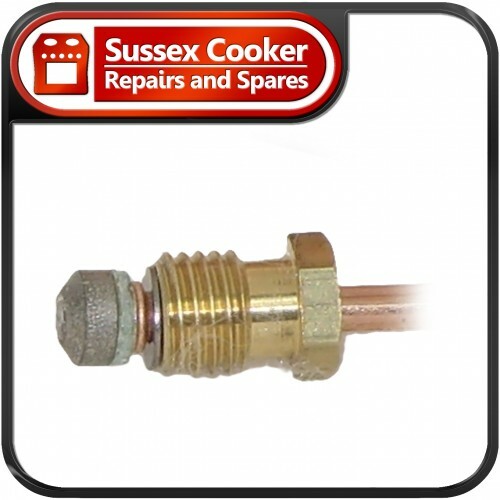 On Gas cookers, Thermocouples are used as safety switches to control the gas supply. 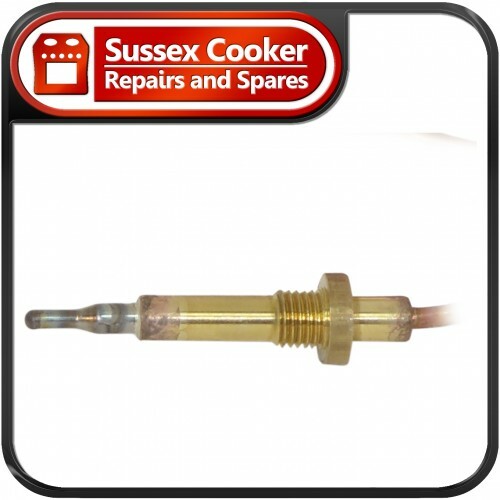 Cookers fitted with Thermocouples required the user to keep the gas tap depressed during the first 10 to 20 seconds of lighting the cooker. This allows the Thermocouple to heat up and generate an electric current which opens an electromagnet valve. As long as the current flows, the valve is held open allowing the gas to reach the appliance. If the flame fails, the measuring junction cools stopping the flow of current and the electromagnet releases the valve, shutting off the gas. The typical symptom for a Thermocouple is that the oven will ignite but the flame will extinguish rather than stay lit as you would normally expect after depressing the gas tap. We welcome you to Email or call on +44 (0) 1273 420134 if you are unsure or need verification that item is correct for your appliance. In order for us to help your inquiry we ask that you have the model number of the appliance to hand when calling. We can also supply most Thermocouples for all British and Continental Gas Cookers, including Natural Gas and LPG, from stock. Please contact us with the make and model for details.